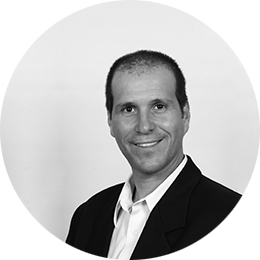 Steve is a seasoned art director with over 12 years of experience in graphic design, branding, art direction, web and digital design across a multitude of industries including the non-profit, pharmaceutical, technology, and entertainment sectors. 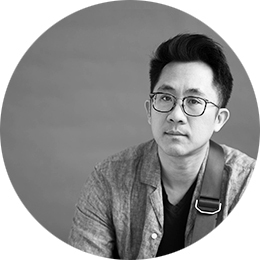 He leverages his core experience in editorial design, having worked for such publications as Canadian Geographic, Reader’s Digest Canada, and Cottage Life to bring a refined editorial sensibility and audience-centric methodology to all of his work. His work has been recognized with awards from the National Magazine Awards Foundation and the Canadian Marketing Association. For over a decade, conservation photojournalist and visual storyteller Neil Ever Osborne has been working to express the inextricable link between people and planet with collaborators that include editorial publications, environmental NGOs, charities, corporations, philanthropists, Indigenous nations, and a growing community of online advocates who align with his values. 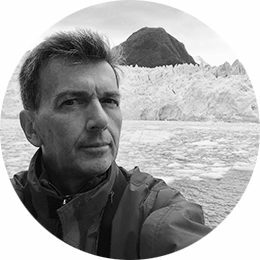 Neil’s work is deeply rooted in a documentary approach that bears witness to humanity’s ecological footprint. This work is principally carried out in designated protected places and in sensitive wild spaces that still need protection. 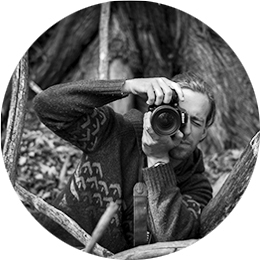 In addition to his role at Evermaven, Neil is a Nikon Ambassador, an Associate Fellow with the International League of Conservation Photographers, and a Fellow with The Royal Canadian Geographical Society (RCGS). From 2016–2017, he was the Inaugural Photographer-in-Residence with Canadian Geographic. Brian Banks is a writer, editor and project leader whose work and ambition increasingly hews to the 3Rs of environmental stewardship: reverence, rewilding and reenchantment. Originally educated in geography, he’s spent much of his career straddling the environment and business. He is a frequent contributor to Canadian Geographic and Canadian Wildlife magazines; other clients include the Nature Conservancy of Canada and The Atmospheric Fund. From 2004 to 2009, he was editor of Financial Post magazine and, from 2010 to 2017, co-founder and editorial director of Listed, a publication for directors and executives of Canadian public companies. 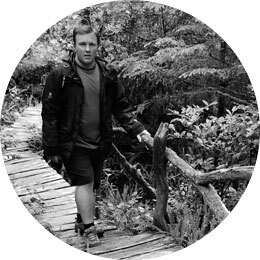 Brian also has six years of nonprofit board and fund development experience in the conservation sector as a member of the board of governors of the Ontario Land Trust Alliance. He is an Al Gore-trained Climate Reality graduate and, in 2016, was elected as a Fellow of the Royal Canadian Geographical Society. Jose Etcheverry is Director of the International Renewable Energy Academy, Associate Professor and Co-Chair of the Sustainable Energy Initiative of the Faculty of Environmental Studies of York University. Jose’s current work is centred on climate change mitigation and achieving 100% renewable energy communities with a focus on practical policy solutions, collaborative approaches, and effective communication strategies. In Canada, Jose was instrumental in the organization of the Ontario Green Energy Act Alliance which achieved the phase-out of coal and the implementation of the Ontario’s renewable energy (RE) standards. Internationally, Jose is helping the World Future Council on its international 100% RE Campaign. He is a member of the Committee of Chairpersons of the World Council for Renewable Energy, a member of the experts network of Go 100% Renewable Energy, member of the Scientific Committee of the International Renewable Energy Storage Conference, and a member of the Innovation Network of Japan’s Renewable Energy Institute. Photographer Jason Houston has spent over 20 years photographing community, culture, and how we live on the planet for editorial and NGO clients. His engaged, long-term approach to complex issues captures informed, authentic narratives that help educate the public and guide social and environmental change. Recent projects include stories on fisheries across the U.S. and throughout the developing tropics; issues affecting isolated tribes in the Amazon; wildland fire management in the western U.S.; watershed conservation in Peru and Colombia; cultural preservation and agricultural heritage on the Navajo and Hopi reservations in Arizona; profiles of chefs, artists, scientists, and other passionate creatives; and a short film on his daughter’s climbing wall in their garage. 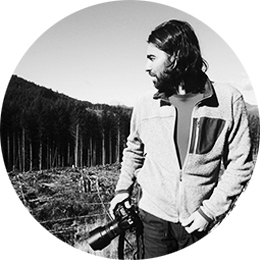 Jason is a Senior Fellow in the International League of Conservation Photographers, a Senior Fellow at Wake Forest University’s Center for Energy, Environment, and Sustainability, and for 8 years Jason also worked as the photography editor for Orion magazine. Vincent Luk is a Toronto based photographer and videographer. With a Masters in Science Planning from the University of Toronto, Vincent merges his background in environmental studies with urban design and community development, fostering his interest in documenting the relationships between people and their natural environment, and the impacts they have on one another. He has considerable experience working with local communities and organizations in sharing their stories through different visual mediums. His photography and video work have taken him across the globe, and his work have been exhibited in numerous galleries around Toronto. In addition to his visual communication work, he is also the Program Manager and instructor for the Fleming College Environmental Visual Communication Post-Graduate Program based at the Royal Ontario Museum, where he mentors future conservation photographers and videographers who are passionate about environmental issues. Photographer and visual storyteller David Coulson focuses on sharing stories that connect people to nature and help translate complex scientific issues in a relatable and emotional way. He holds a Bachelors degree in Environmental Studies and Philosophy, a post-graduate certificate in Environmental Visual Communications, and is a certified UAV Ground Pilot. David flies an assortment of drones and his still photography provides imagery for various Evermaven projects. David has worked with organizations such as Canadian Wildlife Federation, Ontario Nature, the Nature Conservancy of Canada, and the Royal Ontario Museum. 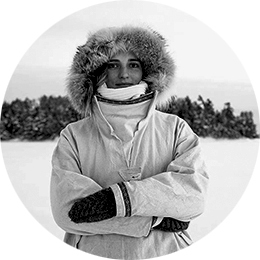 Outdoors-woman, editor, and scientist, Caitlin McManus is an avid explorer of the natural world by land and water. Caitlin would be happy to live life out of a canoe, discovering the wonders of the Canadian wilderness. She has been a wilderness guide, videographer, and biologist, all of which have influenced her visual style as an editor. At Evermaven, storytelling is at the centre of her editing work. Caitlin has worked with non-profits, government agencies, and production companies to tell stories about people deeply connected to the land. With a passion for design, art, the moving image, and technology, motion web designer Alan Reed-Osborne has been involved in collaborations with design studios, marketing agencies, and printing and packaging companies across North America for over a decade. 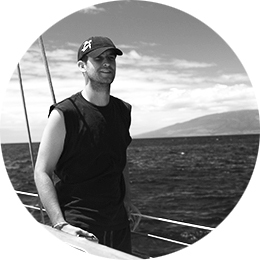 Originally trained at Mohawk College in the school for Applied Arts and Technology, Alan leads Evermaven’s motion design and animation projects, and produces content for our online narrative experiences. Alan is also responsible for print and digital production. 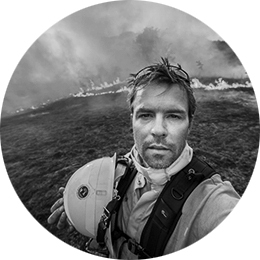 With formal training in the natural sciences and environmental visual journalism, Joshua See has worked for nearly a decade in remote locations around the globe as an ecologist and filmmaker. 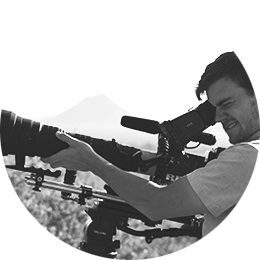 Equally able to work on large collaborative projects as director of photography, or as a self-contained stripped down unit, Joshua uses his background in ecological field work to give him a unique advantage in filming wildlife and telling stories of the natural world for Evermaven. Recent cinematography projects include award winning conservation and nature documentaries such as The Messenger; Twig Eaters: A Year in the Life of a Moose; Fox Tales; and Mommy Wildest/Sisterhood of the Savannah. “Ever” is a word rooted with emotion, time, and permanence — meanings which resonate with, and define, our mission. In reaching for our goals we aspire to pass knowledge on to others through the stories we tell and to nurture a community of collaborators who want to do the same. As a community we aspire to be the trusted experts — “mavens” — of change that shape our relationship with the living world. Ancient trees are regarded as a source of knowledge and strength, providing a link between our world today, the natural one of the past, and we hope, the sustainable world of the future. A tree’s growth rings, much like our own fingerprints are a unique identifier, as well as a document of history. In them we see not only the life of a tree, but also that of the planet, our ancestors and our future.